Lions once prevalent over two Southern California mountain ranges could disappear entirely within 50 years, risking local extinction because of conditions both environmental and genetic. That’s the conclusion of a new study published in the journal Ecological Applications that uses 15 years of observational data, modeling and DNA analysis to analyze how cougar populations are changing in the Santa Monica and Santa Ana mountains. The coastal Santa Monica range is home to about 15 mountain lions; 30 more survive in the Santa Anas, straddling Orange and Riverside counties. They’re penned in by a century of development, ranch and agricultural land, and freeways – U.S. 101 in the Santa Monicas, Interstate 15 in the Santa Anas – that are two of the busiest in the world. 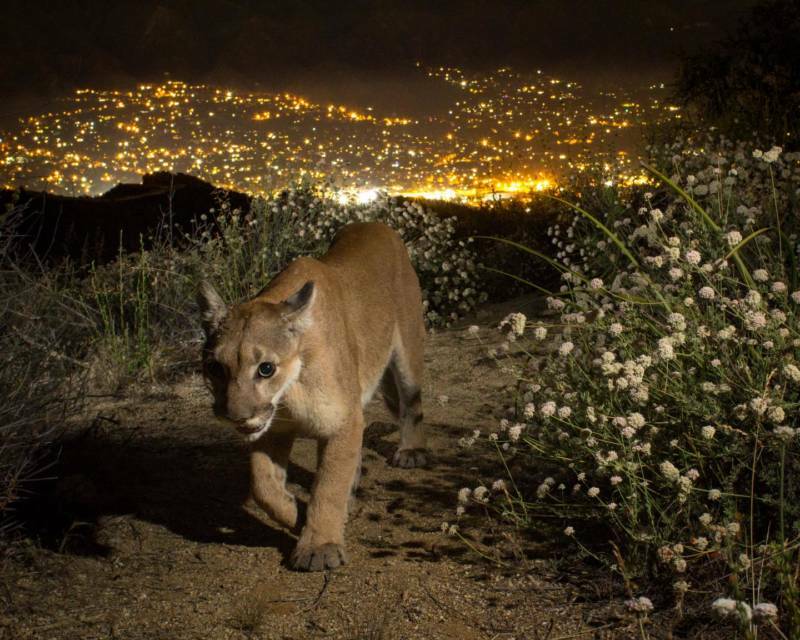 Humans are often to blame for mountain lion deaths: cars and rat poison are two common killers. But the report's lead author says the group’s modeling offers reason for optimism, too, in that enabling lions to cross freeways could minimize risks. Engineered wildlife crossings carry steep price tags. One proposed at Liberty Canyon, near the 101 freeway in Agoura Hills, could cost $60 million. If funded, it could break ground within three years. Benson says it would offer permanent benefits and an example to other communities. “If we’re able to do it here in Los Angeles, we can probably do it anywhere,” he says.